Elevate your senses and soothe your soul at Seven Stars’ world-class spa. Our expert spa therapists specialize in a variety of massage techniques to improve circulation, hasten detoxification, and release tension. Other services include facials, full-body treatments (including hot stone therapy), and spa manicures and pedicures. In-suite and beachside massage services, and couple’s massages, are also available. Spa hours are 9 a.m. to 7 p.m. daily. To make an appointment or inquire about spa services, please contact us. Shop at Seven Stars Resort boutique, offering women’s and men’s summer clothing including bathing suits, cover-ups, hats and other beachwear. 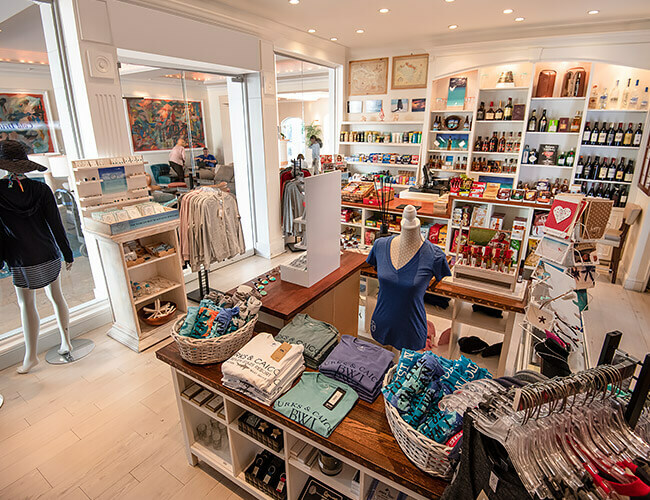 The boutique also boasts a stylish selection of contemporary accessories including jewelry from around the world, shawls, and sunglasses to keep you comfortable on the sand. We had our 15th year wedding anniversary vow renewal here. I can’t say enough good things about the service and the professionalism offered by this hotel. The room was amazing. We were thrilled with the size of the room, the furnishings, the outside deck, its cleanliness...everything. My son and I have stayed at the Seven Stars Resort every year for the past five years and as we are getting ready to head back for our 6th visit. 4th time here and we just love it. So relaxing here. Right in the middle of grace bay. Beautiful waters and calming breezes. Water sports available as needed. Great dining in 2 restaurants on property. Seven stars is amazing. The service was spectacular. The property is beautifully well maintained. The beach is gorgeous.